Shepherd’s Pie needs to be packed with flavour and topped with a creamy, smooth mash. Chef Tony Jardella, Head Chef at Perry and Blackwelder’s Original Smokehouse in Dubai, shows you how it’s done – with quick and delicious results! Steak and chips is always a diner favourite, but a rich, flavoursome sauce is what really brings this dish to life. Watch Chef Tony create three great-tasting, classic sauces with ease and speed. For culinary advice and inspiration delivered to your inbox, sign up to our newsletter now. 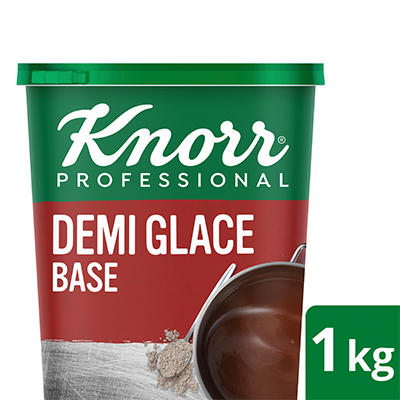 Knorr Demi Glace Sauce gives you the full flavour and aroma of a classic Demi Glace in five minutes. It's perfect as a base for your mushroom or pepper sauce.